There’s only one red allowed in this city, and it’s not the one on Santa’s suit. Langfang City, located near Beijing, banned all public sales and displays of all things related to Christmas on Dec. 15. Communism, being officially atheist, has long been at odds with anything related to faith or religion, and Christmas has long since been a target. Other far-left political groups, including the Communist Party of the Soviet Union (CPSU), and even the Nazi Party, suppressed Christmas related activities. The Chinese Communist Party (CCP) has intensified its suppression and persecution of Western religions in recent months. China is drawing worldwide condemnation for both persecution of Uyghurs in Xinjiang and the arrest of Christian church-goers. The nearly 20 years of ongoing persecution against Falun Gong, a spiritual meditation practice, has set precedent for the CCP’s recently expanding suppression of people of faith. Not only the display of Christmas related items was prohibited, but also the sale. “Completely clear out sales of Santa Claus, Christmas trees, Christmas-Eve Apples and all other Christmas related merchants,” said the memo. Street vending, which is common in many Chinese cities, is often a target of law enforcement officials. 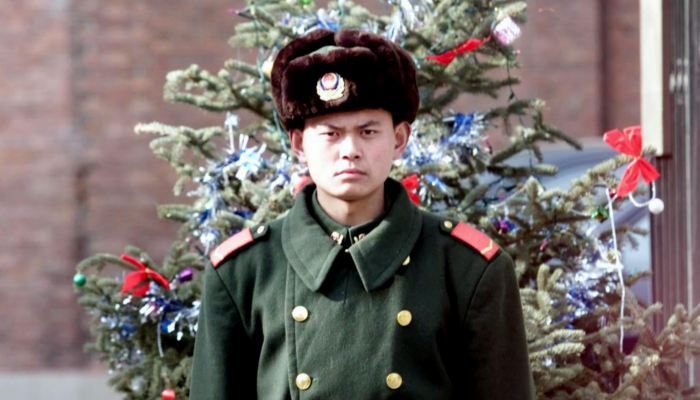 Suppression of Christmas and merchants may be the toeing of the Communist Party line by local officials, lining up with other recent crackdowns on other peoples of faith. “If discovered, monitor [it] closely and report upward,” said the memo. Communism historically has suppressed religion. In Soviet Russia, the League of Militant Atheists created holidays to oppose religious observances, and even the cutting of Christmas trees was banned. Similarly in China, many new holidays have been created, and many traditional holidays have lost much of their meaning since the Cultural Revolution. The CCP even changed significant Chinese holidays. The most significant holiday, Chinese New Year, is now called Spring Festival inside mainland China. Many holidays now are just a time for families to share a meal together, with no other festive forms. This may be a cause of younger generations gaining interest in foreign holidays. Though the majority of the population does not religiously observe Christmas, there is still a general feeling of interest in the general population toward the West and its holidays. Christmas in China has becoming increasingly popular in recent years, especially with younger generations. A modern tradition is to give an apple to a dear friend or loved one on Christmas Eve, since the two words for “apple” and “Christmas Eve” have similar character and pronunciations in Chinese. However, in Langfang, this will no longer be the case.